Ashlea is an experienced advocacy and government relations consultant with expertise in communications, government and politics. 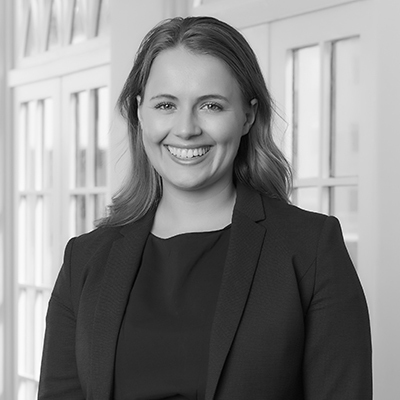 With a thorough knowledge of political processes at all tiers, Ashlea has helped industry leaders to successfully engage with government, identify and influence public policy shifts and achieve practical outcomes. Ashlea recently was a Senior Adviser to the Victorian Minister for Trade and Investment, Innovation and the Digital Economy and Small Business. In this role, Ashlea had responsibility for a broad range of policies and initiatives including biotechnology, medical technology, pharmaceuticals, regional connectivity and trade. Ashlea also served as an Adviser to Australia’s first Minister for the Prevention of Family Violence and Minister for Women. In this role Ashlea focused on the establishment of the Royal Commission into Family Violence and subsequent $1.9 billion investment by the Victorian State Government. Ashlea holds a Bachelor of Arts (Criminology and Public Policy) from the University of Melbourne.